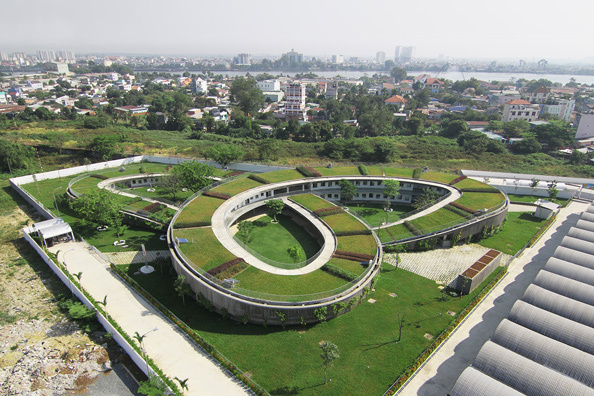 The ingenious shape makes an unusual building, but also maximises airflow around the school, meaning it needs no air conditioning. It is solar powered. That building on the right is a shoe factory whose big roof collects rainwater for the school. It looks like a wonderful place to go to school, but the particular reason I wanted to mention it is the roof. It’s green and insulates the building, but there’s more to it than that. There’s a philosophy here. As Vietnam rapidly urbanises, many people are leaving farming lifestyles behind. Children are growing up without that traditional connection to nature. 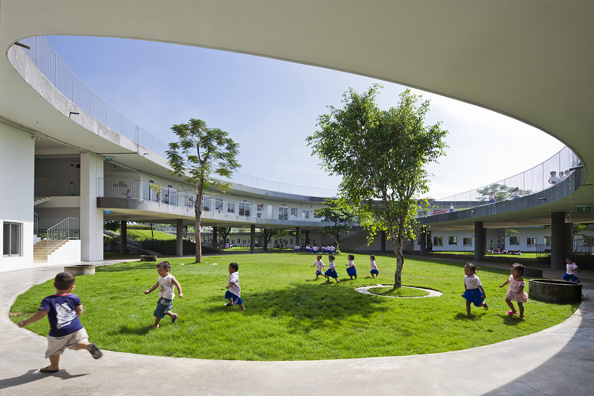 So the kindergarten has been designed to retain and encourage an agriculture heritage that could otherwise slip away. The whole roof will eventually serve as a vegetable garden, tended by staff and children together. 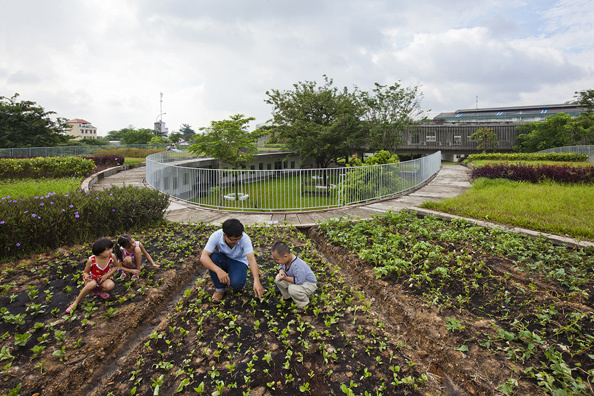 They may live in the city, but the children will still grow and enjoy their own food, in a building that cleverly combines technology and tradition. AMAZING and BEAUTIFUL! What a tremendous, environmentally shared school! This should happen everywhere! WOW!